Just like in every other sector, the travel industry is being disrupted in different ways, thanks to technology and new innovative thinking about how to serve customers. We put together five important travel marketing trends that are changing how things are done in the industry. Influencer marketing continues its impact on the marketing landscape. It started rearing its horns in the fashion and beauty industry on Instagram, and has become trendy in travel marketing too. Influencers are individuals that are trusted by their followers have the power to add desirability to a destination by simply posting envy-inducing snaps of them. When Chrissy Tiegen goes on a trip to Indonesia, travelers notice. But brands don’t need to rely on influencers at the Tiegen scale. Brands can focus influencers who have niche followings of highly engaged audiences. When those audiences have interests that can be met by travel destinations, influencer strategy can really succeed. Influencer marketing works because it’s not just another channel to promote a brand—it’s a deeply human channel that promotes relationships. Many travelers and tourists spend time to research extensively about different hotels, airlines and local experiences for their upcoming trips. A new crop of travel planning services and recommendation services are sprouting up to address this need in more creative and personalized ways. Take Essentialist. Essentialist provides insider knowledge on different locales thanks to its networks of tastemakers. Based on these recommendations, the company offers to plan and book different activities. Using both a content + easy services approach, the company is owning the trend of personalizing experiences using expert, curated knowledge. Business + leisure = “bleisure”. Business travelers want to easily extend their stay and get a taste of what their destination has to offer. In doing so, they’re paving the way for companies to offer both a professional, efficient service that business travelers need (and hotels excel at) and personalized experience (that Airbnb excels at). Airbnb’s recent shift in strategy to incorporate hotel room listings signals this shift. Companies that can offer the personal and professional in hospitality will win–and their approach to travel marketing should follow suit. Artificial intelligence has found its way into travel marketing, but don’t fret about robots taking over. Instead, get excited about the power of chatbots to add major value. Chatbots are being used to improve customers’ experience and makes POS and post-sales transactions and changes hassle-free. 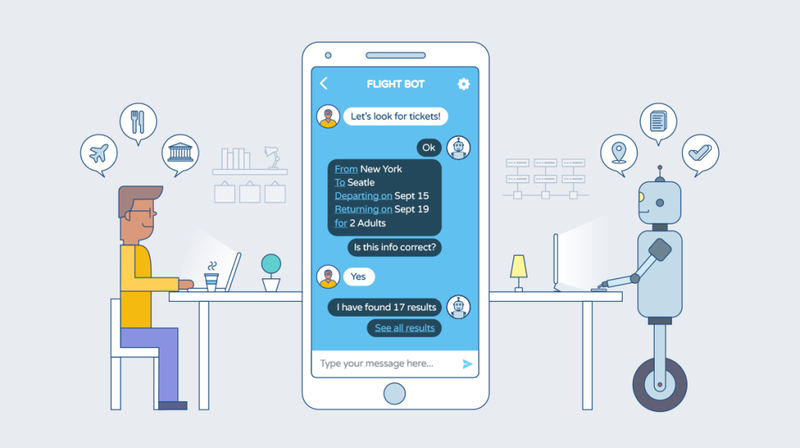 Travel companies like airlines deploy chatbots to consolidate information, answer common questions and handle such other things as booking and cancelling. Airlines, hotels and tourism companies are using 3600 VR video to offer potential customers an immersive experience of what it feels to patronize their services. With the technology, potential customers are immersed in the centre of the action and can feel a stronger emotional connection to a place and time that are representing in the virtual environment. The use of 360-degree virtual reality videos in marketing campaigns is on the rise.